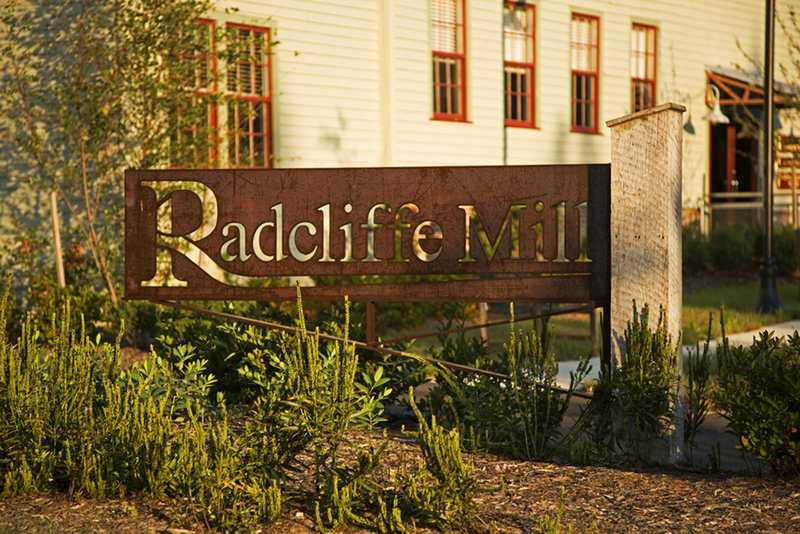 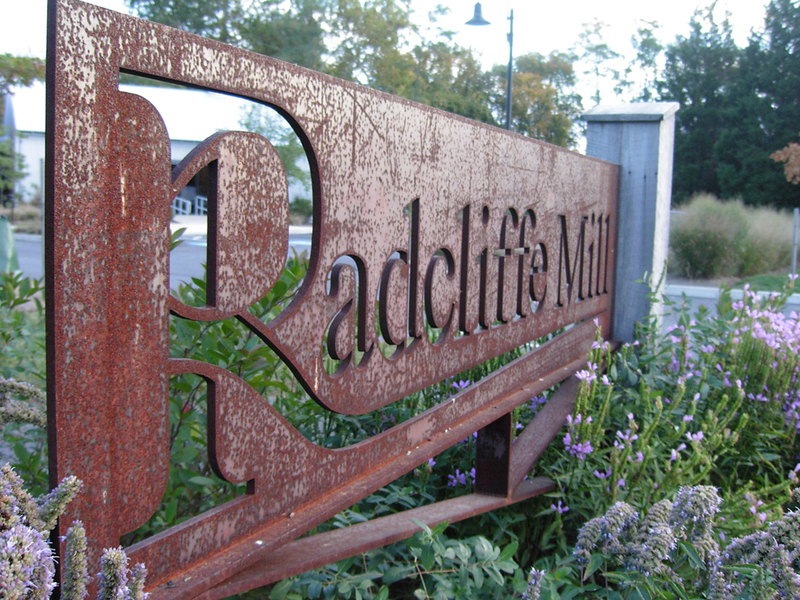 Radcliffe Mill is one of the most recognizable landmarks in Chestertown and this site along Radcliffe Creek has been inextricably linked with Kent County agriculture since 1694. 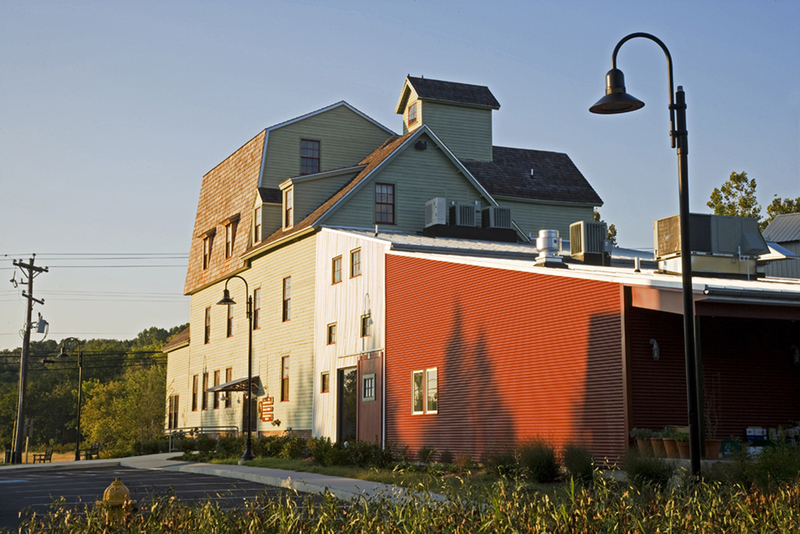 South Fork Studio was selected to be part of a design team asked to rehabilitate and redesign the 1891 agricultural complex to accommodate two new commercial office spaces (Radcliffe Corporate Services & Mullin Ashley Associates) and a new restaurant (Brooks Tavern). 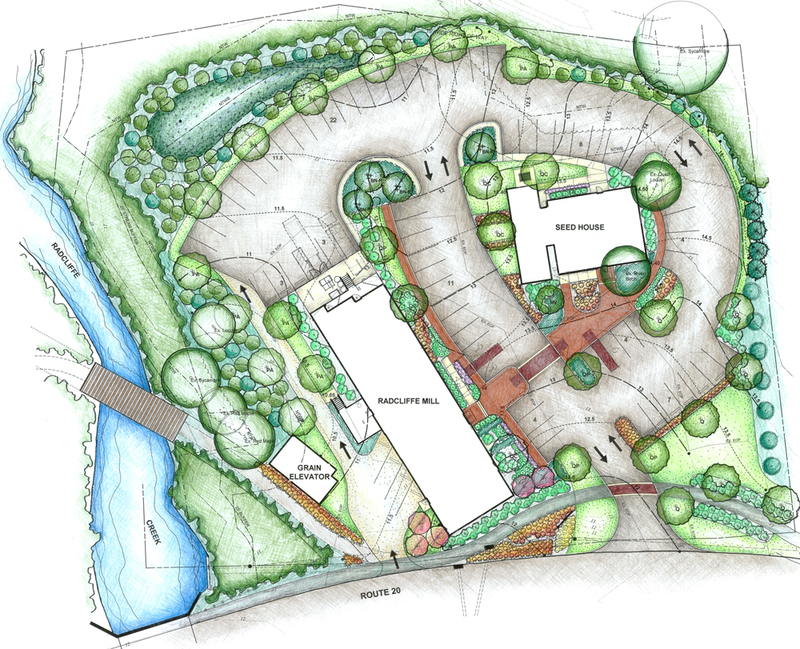 South Fork Studio designed a site plan that satisfied the needs of the vehicular based clientele of the Mill and Seed House building while complimenting the historic architecture and respecting the environmental sensitivity of the site. 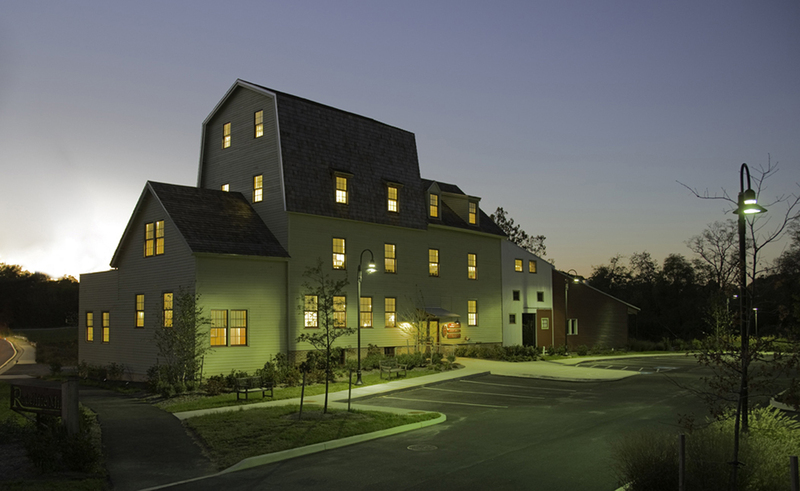 The use of native plant material, efforts to preserve existing trees and thoughtful parking layout are some of the special site features that South Fork Studio contributed to the project which is now listed on the National Register of Historic Places.